Fatigue is an underassessed and underreported aspect of cancer patients undergoing treatment. In patients being treated with surgery, its extent and manifestations may be varied but it affects their functional quality of life. This study was designed to evaluate the level of fatigue in pre- and post-surgery period and its relation with the functional disability in patients undergoing upfront surgery for solid malignancies. A prospective observational study was conducted between 2016 and 2017. 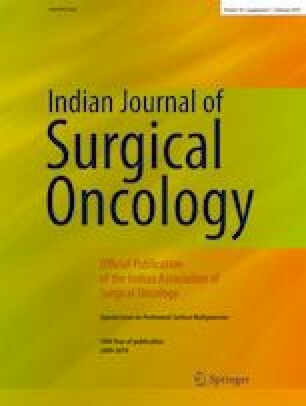 A total of 71 patients with malignant solid tumors (up to stage III) undergoing upfront surgery were included. The fatigue and functional disability were assessed in pre- and post-surgery period using Multidimensional Fatigue Inventory-20 (MFI-20) and Functional Assessment of Chronic Illness Therapy (FACIT-F) questionnaires respectively. The mean age was 42.4 years. The post-operative fatigue levels were significantly higher compared with the pre-operative levels (p = 0.001). The maximum levels of fatigue and loss of functional ability were seen at the time of discharge that recovered up to some extent after 30 days of surgery. Operative duration > 8 h, hospital stay > 9 days, and blood loss of > 200 ml were associated with increased fatigue level. Mental fatigue and limitation of physical activity were the most significant domains in pre- and post-surgery period respectively. This study concludes that cancer-related fatigue is present in both pre- and post-surgery period and it correlates with functional disability. Assessment of different dimensions of fatigue is important and patients need to be made aware about them for planning any specific intervention including life style modification to help them cope up with these practical issues. Informed consent was obtained from all individual participants included in the study. The study was approved by the Institutional Ethics Committee.